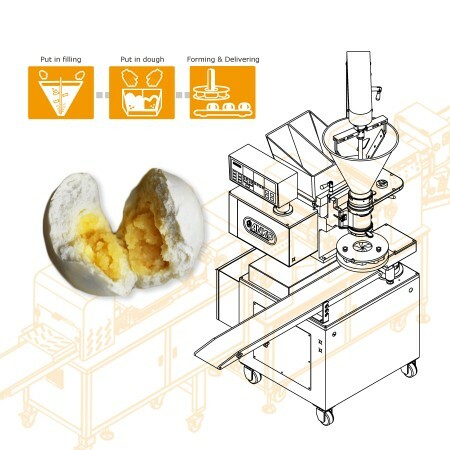 ANKO Automatic Encrusting And Forming Machine - High Quality Automatic Encrusting And Forming Machine Manufacturer from Taiwan | ANKO FOOD MACHINE CO., LTD.
ANKO - The best Encrusting And Forming Machine manufacturer. We always commit to the development and focus on the quality of our machinery. 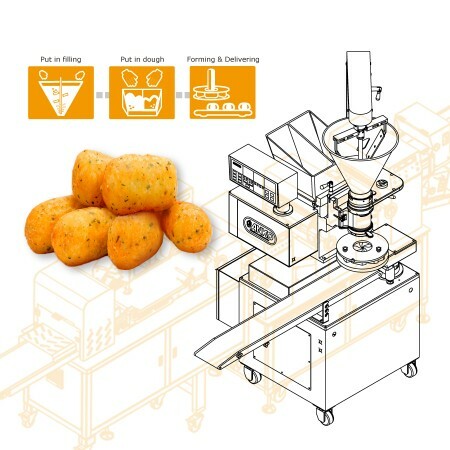 What kind of food can be produced by ANKO SD-97W? Fillings can be bean paste, peanut powder, minced meat, sesame paste. Users can easily calculate the total number of products. 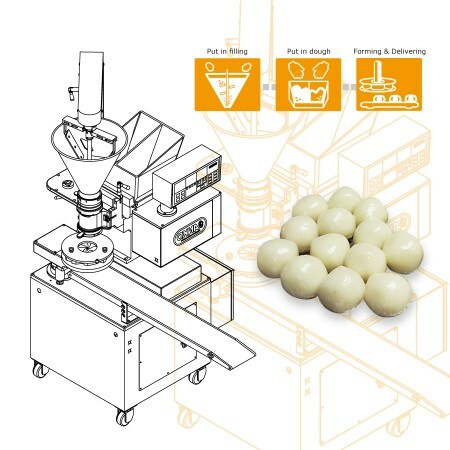 Special filling system can apply both wet and dry fillings. It requires little space for operation, the production and installation space of SD-97W is only 90X145cm.